CreativeMornings is an international monthly breakfast lecture series designed for creative communities, including designers, entrepreneurs, makers, developers and crafters alike. In 2008, Tina Roth-Eisenberg founded the lecture series in Brooklyn, NY. At the time, lecturers included professional creators, designers, photographers, and illustrators. Today, events are hosted in over 100 cities worldwide, free of charge, and includes a 20-minute talk, plus coffee! 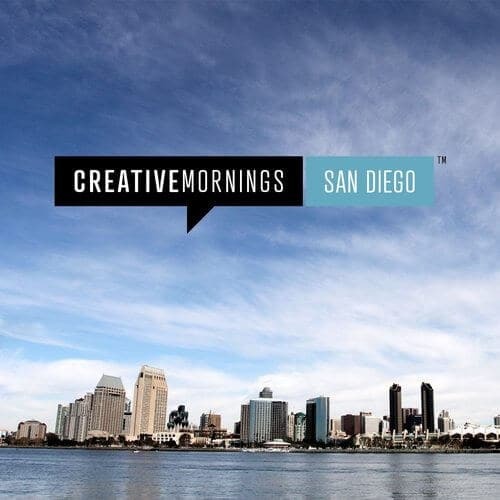 The aim for CreativeMornings San Diego is to bring people from different creative disciplines together to launch more awesome into the world. We are excited to join this month’s installment, with guest speaker Jeremiah Gardner, speaking about the art and science of value creation. The event will conclude the week-long celebration of entrepreneurship, that is the San Diego Startup week . Check out the event details in the link below, and join us.